The man behind one of the most famous tunes on Earth says he hasn’t earned a single yen from “PPAP.” Yet. It’s the shortest single ever to hit the Billboard charts and as of writing, it has 89 million views. 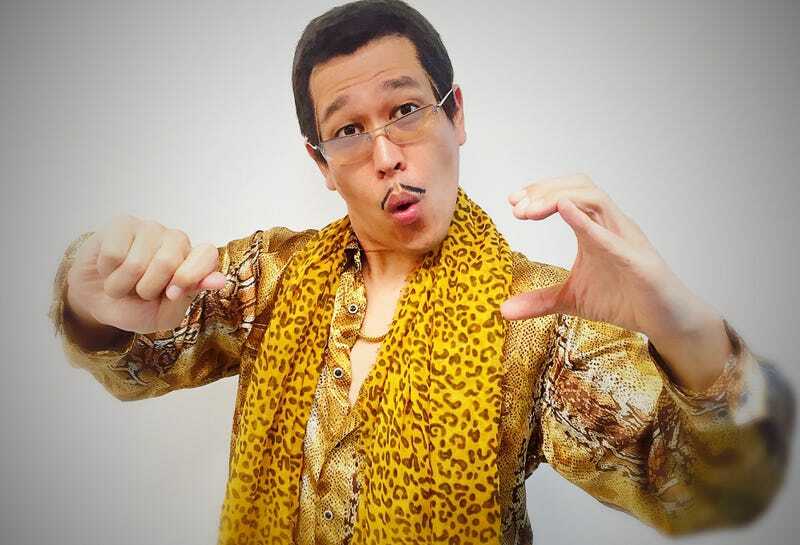 According to Sponichi Annex, Pikotaro appeared on Japanese TV show Nonstop and revealed that while he’s famous the world over, “PPAP” hasn’t lined his pockets. He has started appearing on Japanese TV more and stars in commercials, which is where Japanese celebrities can make loads of money. So, he should start to see some returns from his viral hit, and it’ll probably be a bunch all at once. But even if he never becomes unbelievably rich from “PPAP,” at least this happened. You can follow Pikotaro on Twitter right here. He seems to be unverified, so maybe Twitter can change that? Surely!